What is Peaceful Warrior Pose? Peaceful warrior pose, or shanti virabhadrasana in Sanskrit, is usually practiced in vinyasa classes as a transitional pose between warrior two and downward facing dog or chaturanga. 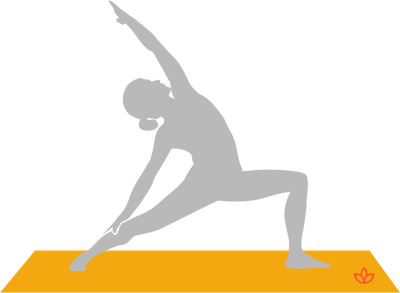 From warrior two pose, the front arm reaches up and back in a gentle backbend while the back arm rests on the back leg. Begin in warrior two with the left foot forward. Turn the left hand toward the sky. Inhale and reach the left arm up and back, bringing the torso into a gentle backbend. Gaze upward. Drop the back arm so that it rests on the right thigh or calf. Avoid this pose if there is knee or back injury.